February « 2012 « I'd rather be in France. My sincere apologies. You all were probably wondering if I decided to stay in Houston forever! The drive out of Texas was arduous and comprised our longest day of driving. This gave Steve and me plenty of time to finish one of our books on CD (because my minivan is still rocking a CD player), John Grisham’s The Confession. Pretty good book, by the way. Much better than the James Patterson dribble that Steve listened to while we were driving through Arizona. Our next and completely arbitrary stop was Roswell, New Mexico. 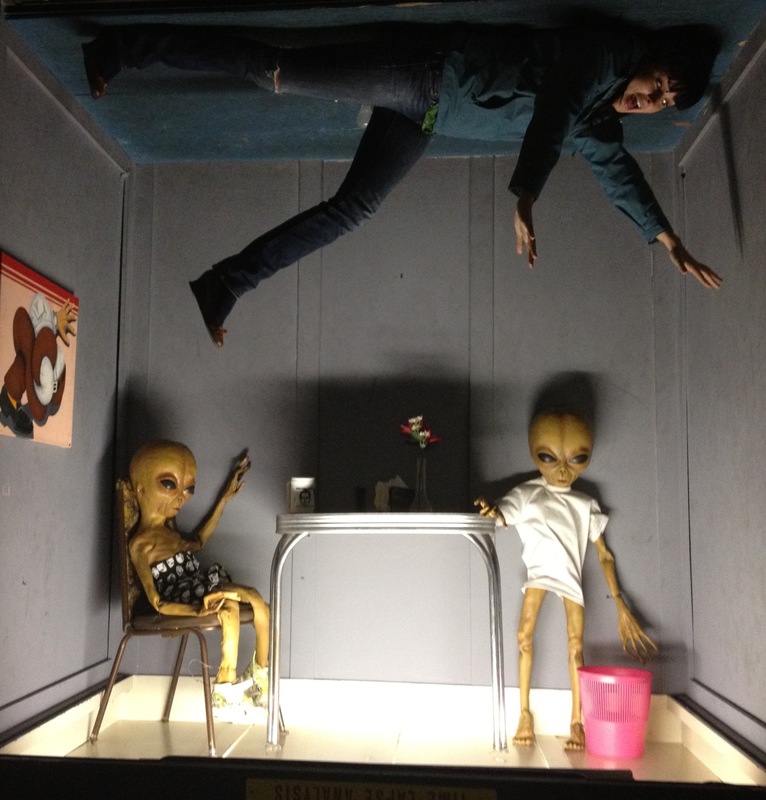 We had no idea what actually was in Roswell, but it sounded like a good idea. It wasn’t until we rolled into town that night and couldn’t find anywhere to eat dinner that wasn’t a chain restaurant that we began to question our trip strategy. Fortunately, we stumbled up Billy Ray’s and dined on delicious enchiladas. 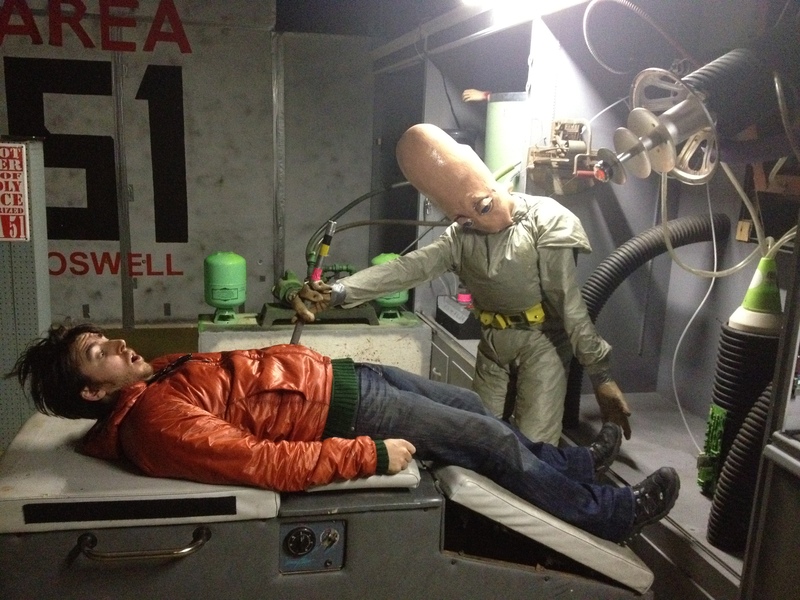 After a good night’s sleep at the Holiday Inn, we headed back into the heart of Roswell in search of extraterrestrials. We found more than we could have hoped for at The Alien Zone. We were the first customers in the door so the owner let us in for free, but it would have definitely been worth the $3 admissions fee. 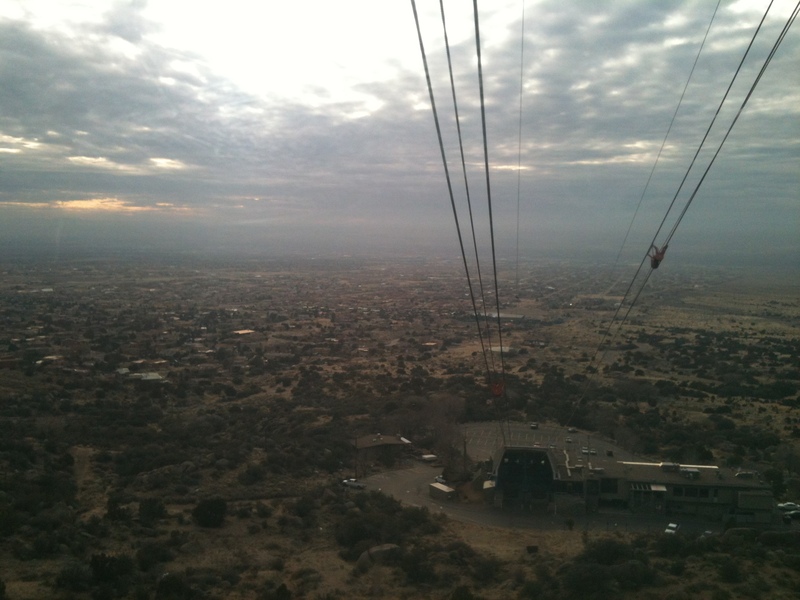 After Roswell, we headed west, stopping in Albuquerque for lunch and a ride on the Sandia Peak Tramway. 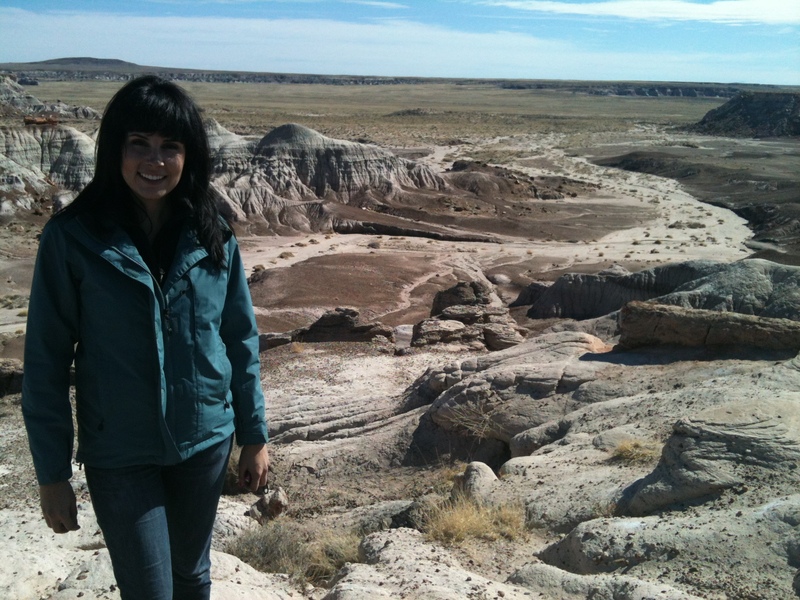 We had been hoping to squeeze in the Petrified Forest National Park in Arizona that afternoon, but the distance proved too great and we wouldn’t have arrived until after sunset. We almost passed up on the opportunity to go to that park since we also wanted to see the Grand Canyon, but I looked up a photo of the park while we were driving, and we both agreed the petrified trees and surrounding desert looked too amazing to pass by. We stopped in Holbrook, Arizona for the night (which turned out to be a remnant of the glory days of Route 66) and then drove to the park the next morning. Holy geese, it was breathtaking. But first, before I enchant you with tales of natural beauty and wonder, I must digress to tell you how the day really started. This might come as a surprise to some, but apparently being within a loving arm’s length of another person for ten straight days can result in a build up of unexpressed emotions. And apparently, when one of the two decides she wants to retrieve her National Park Passport from the over-packed minivan but can’t remember which bag or box she put it in and decides to unpack half of the minivan, scattering its contents onto a parking lot in the middle of the Arizona desert and refusing the other person’s suggestion of purchasing a second National Park Passport, this might bring some of these unexpressed emotions to the surface. Throw on top of that the request by one of the two that the other take his negativity elsewhere because she could do a better job packing anyway, and your inevitable result is a disagreement. The tiff quickly ended when the self-proclaimed superior packer couldn’t lift one of the bags she unpacked and was forced to humbly request the assistance of the other person, who sweetly complied. And that was our one disagreement of the entire trip. I did find my National Park Passport, by the way. Anyway, back to the beautiful desert. 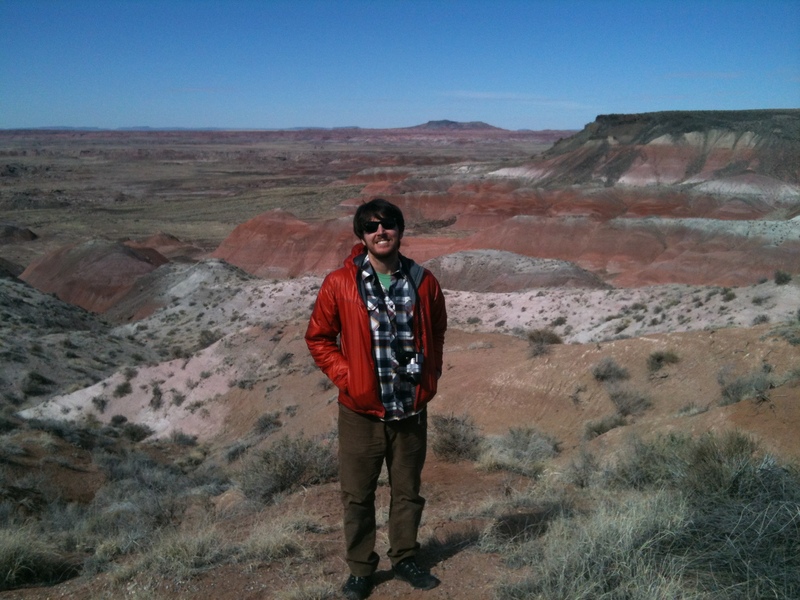 I’ll give you a peek at the Painted Desert and the Petrified Forest National Park, but these iPhone photos won’t do it any justice. I intend to dedicate a whole post to some of the photos as soon as I get them uploaded from my camera. As a reminder, you can click on any of these to enlarge. After spending most of the day driving through the park, we stopped back in Holbrook for lunch at Joe & Aggie’s Cafe and some browsing at Jim Gray’s Petrified Wood Company, which has a great assortment of not only petrified wood but also fossils and other stones. Steve got a really cool little petrified log that is now sitting on our end table. 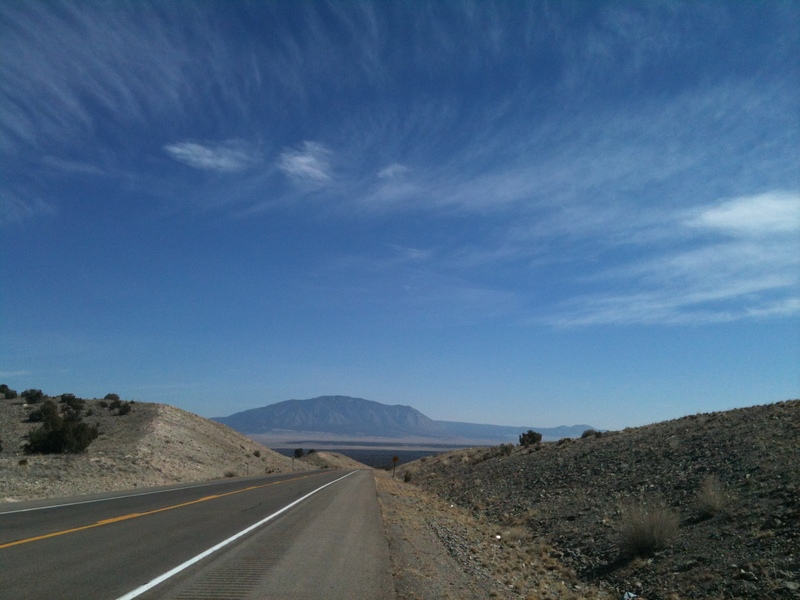 That evening, we drove west to the Grand Cayon where we spent a night in the beautiful El Tovar Hotel. Although the prices there are usually pretty steep, if you call them the night of, you might be able to get their “late night rate” of $100. 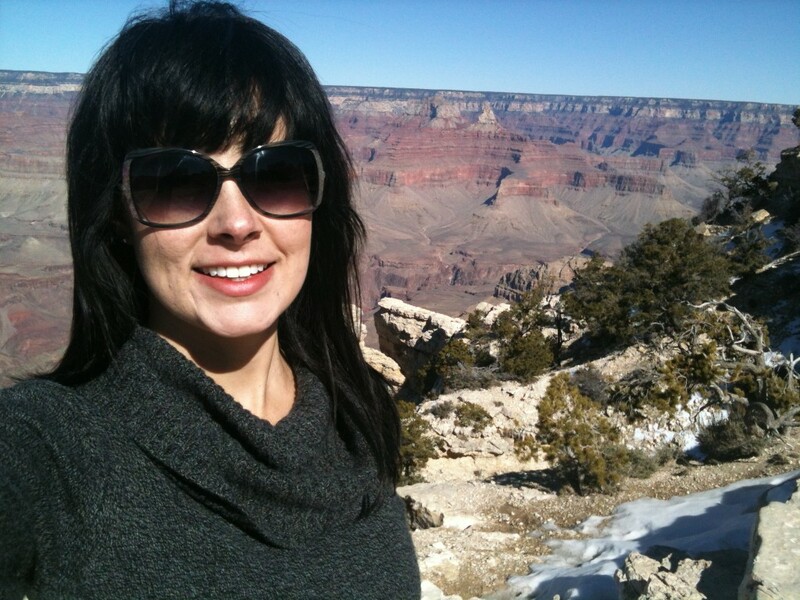 Perfectly perched on the rim of the Grand Canyon, and with past guests like Einstein and Teddy Roosevelt, the El Tovar Hotel was definitely a highlight of our trip. 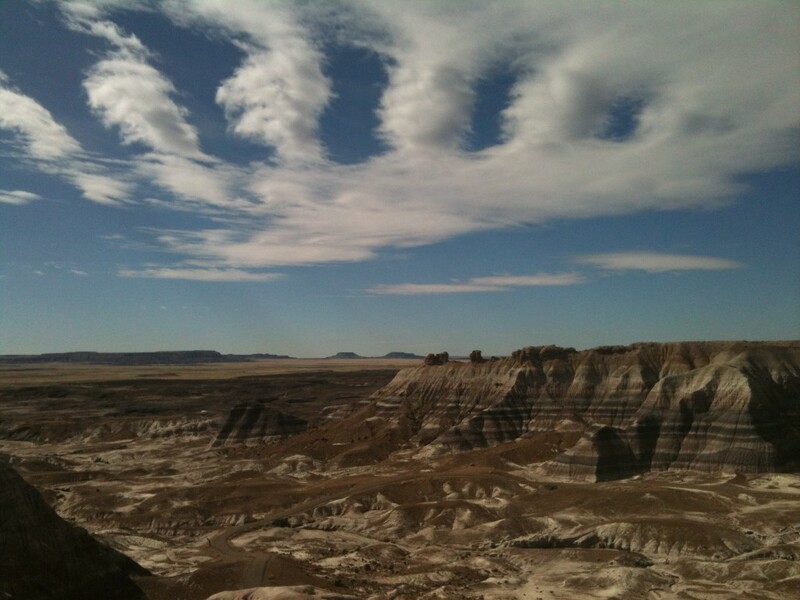 As with the Petrified Forest National Park, I’m only giving you a sneak preview. 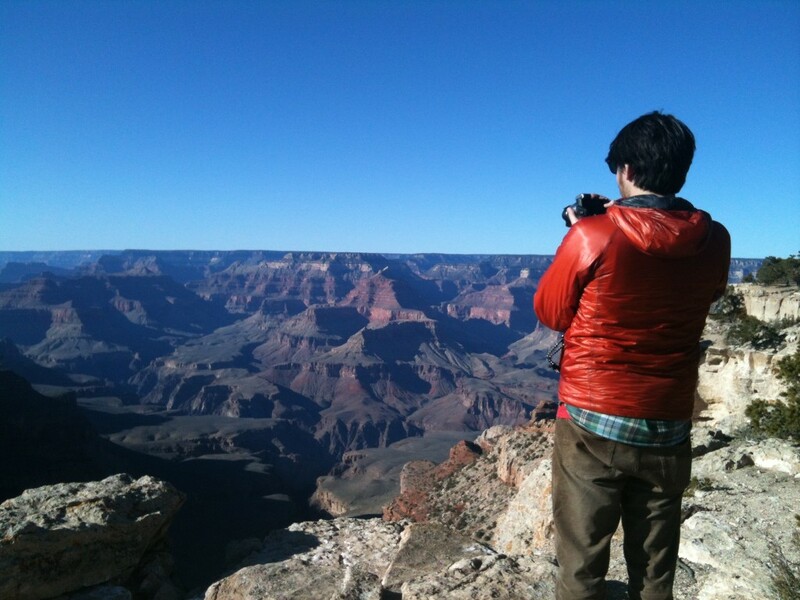 I suspect Steve’s camera best captured the Grand Canyon, so I will have to wait for him to get back before I can steal his photos. I will say this: the indescribable beauty of the Painted Desert and the Grand Canyon inspired a surprising and overwhelming sense of patriotic pride. We in the United States are very blessed to have these natural treasures, and I think we should be very thankful and proud to have them on our soil. Last year I had the fortune of visiting Yellowstone and Yosemite national parks, and I hope I will get to visit several others this year. Besides, my National Park Passport needs more stamps. We hiked and drove up and down the canyon, stopping to take pictures and marvel at the incomprehensible vastness of the canyon. 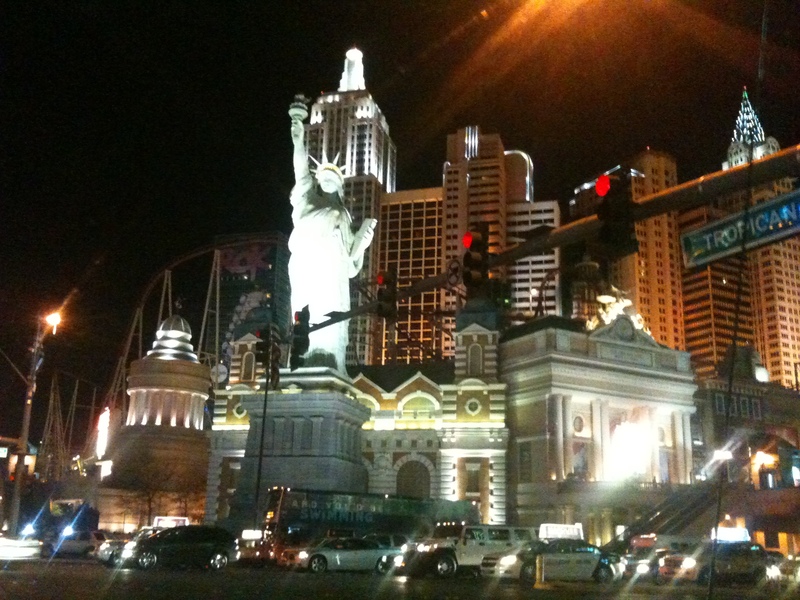 After the sunset, we got back the minivan and drove to our last stop before California: Las Vegas! I found us a sweet deal at Palms Casino Resort through Hotel Tonight, and we had so much fun the first night that we unanimously voted to stay a second night. 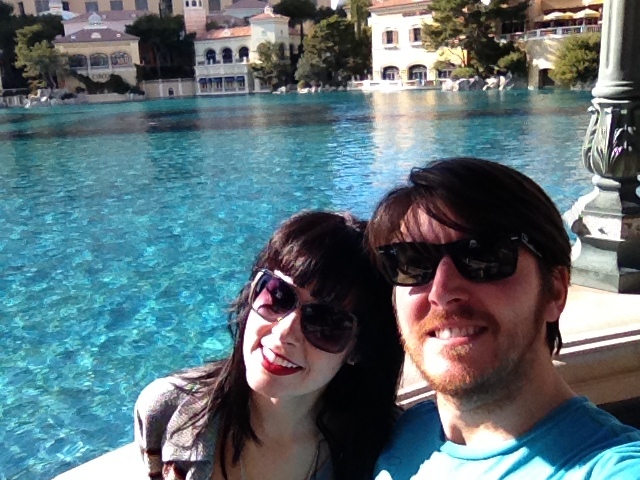 We explored the strip. We met up with my friend Laura from New York and saw the “Show In The Sky” at the Rio. We ate at a casino buffet. We had a slightly classier dinner at Little Buddha. We saved ourselves $160 in cover charges by sweet talking our way into some night clubs. We had some drinks. We danced. It was awesome. I’ll save California for another entry. Just thinking about everything we did during those two weeks is exhausting. I told Steve before we left that I wanted to make the most of our journey from the east coast to the west coast, and I think we succeeded. I saw some special people, visited some special places, and made a lot of special memories along the way. It feels like a proper transition into this new life. Thanks for staying with me along the journey. Greetings from Roswell, New Mexico! For those of you just joining me, here’s the deal. I was practicing law in New York City. Now I am moving across the country to California to open a bakery. Two and a half weeks ago I loaded up my dad’s minivan and, with my friend Davina, drove out of the city. Our first stop was State College, Pennsylvania to see Travis, a close friend since high school. After that, Davina and I headed south to Asheville, North Carolina to see Davina’s grandfather and other extended family. The next day, we drove through Atlanta, stopping to see one of Davina’s friends before ended up in Auburn, Alabama where my mom, brother and grandmother all live. 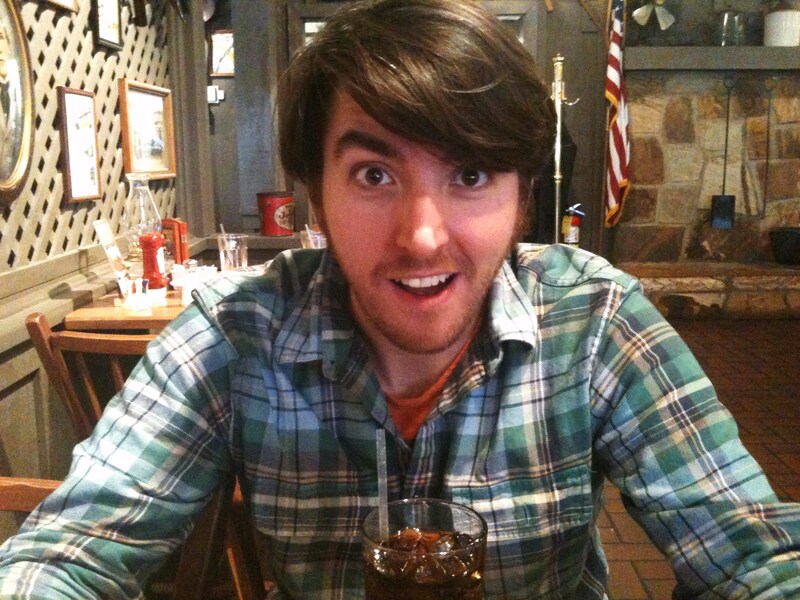 I drove Davina to the Atlanta airport the next day, and then hung out in Alabama for a week. I caught up on some sleep, inventoried my growing collection of vintage cookbooks, answered a lot of my grandmother’s technology-related questions, and caught up with my mom and brother. For the first time in a month I could think about something besides packing and moving logistics. Steve joined me about a week ago. His ship is drilling off the coast of West Africa, and he had to be away for a little longer than usual. Then he had to move some of his stuff from New York to Maryland before flying down to Atlanta to join me on the cross-country drive. He spent a few days meeting and catching up with my family in Alabama, and then we set off for the next leg of the trip. 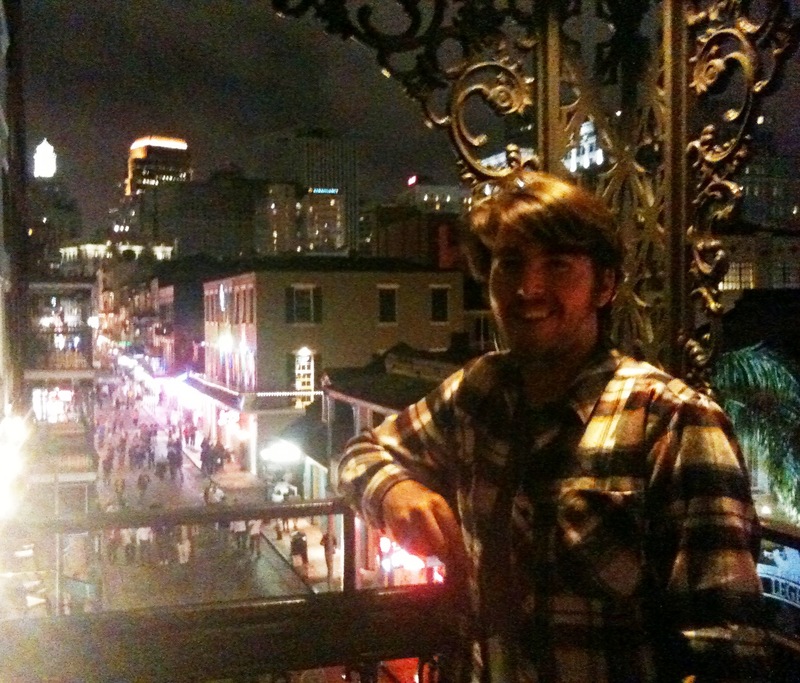 Our first stop was a pit-stop in New Orleans! 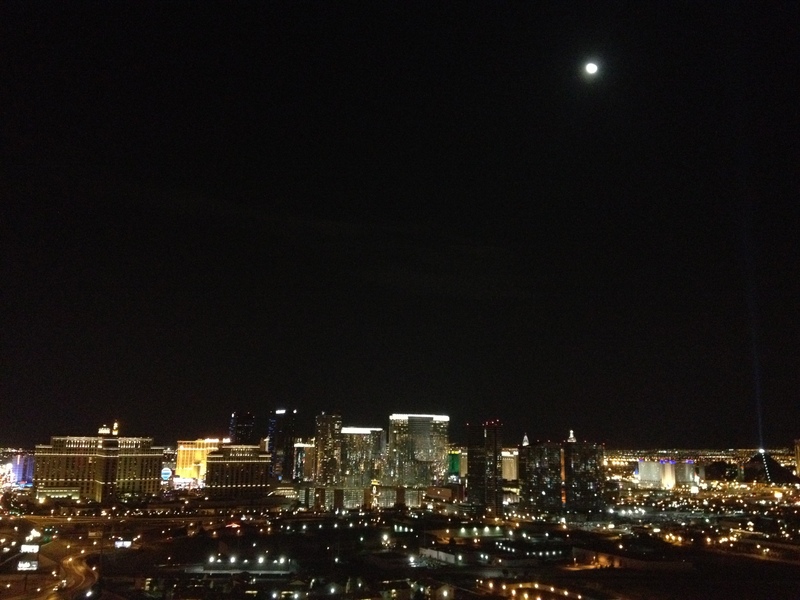 We were there less than 24 hours, but we had a great night out, stayed in the heart of the city (thank you, Priceline!) 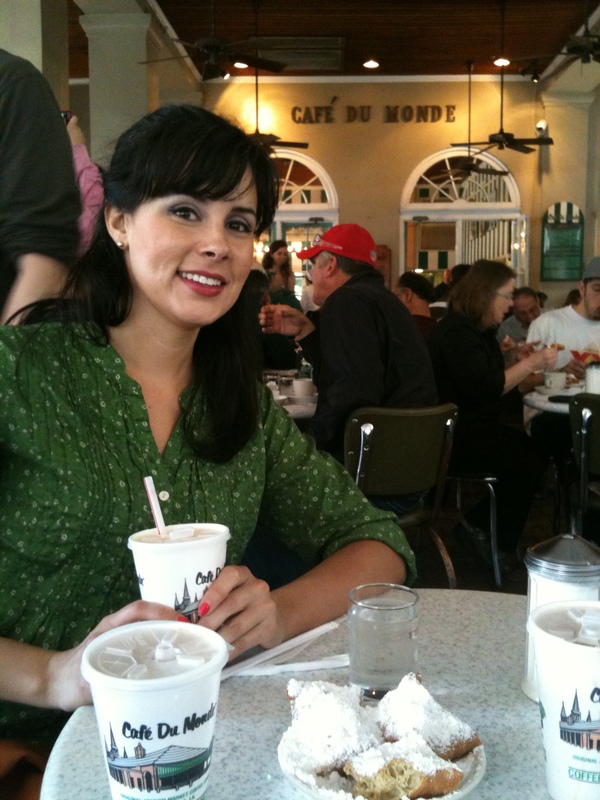 and had delicious beignets the next morning. 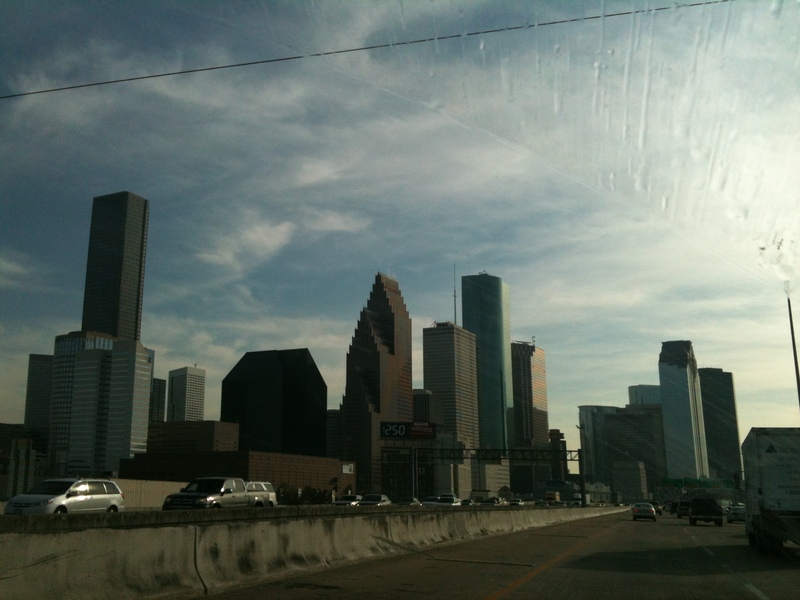 After New Orleans, we continued the drive to Houston where Steve’s brother and dad live. Steve’s sister was also visiting over the weekend, so Steve got to catch up on some family time of his own. We went to a Rockets game (thanks to some shmancy box seats! ), saw some dueling pianos, went bowling, and had a Superbowl party. 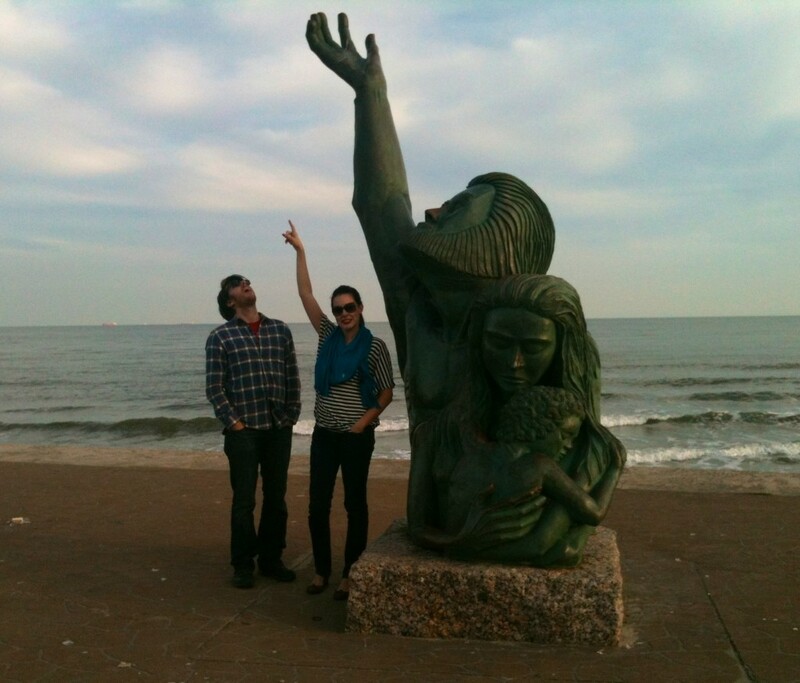 We also had a birthday party for Steve’s adorable twin nephews and took a trip over to Galveston to see Steve’s brother’s girlfriend’s salon and eat crawfish. It was a great weekend, and Steve and I both really enjoyed spending so much time with his family. That leads us to today. Steve and I got up early this morning, repacked the van, and hit the road. Although Google told us the drive to Roswell, New Mexico was going to be 12 hours via the interstate, we followed the state road route recommended by the car GPS system and made it in 10 hours. We got to Roswell with just enough time to have a relaxing dinner and catch up on some mindless television. This morning, we are going to go look at some tacky alien stuff before getting back on the road. 29: My best year yet? 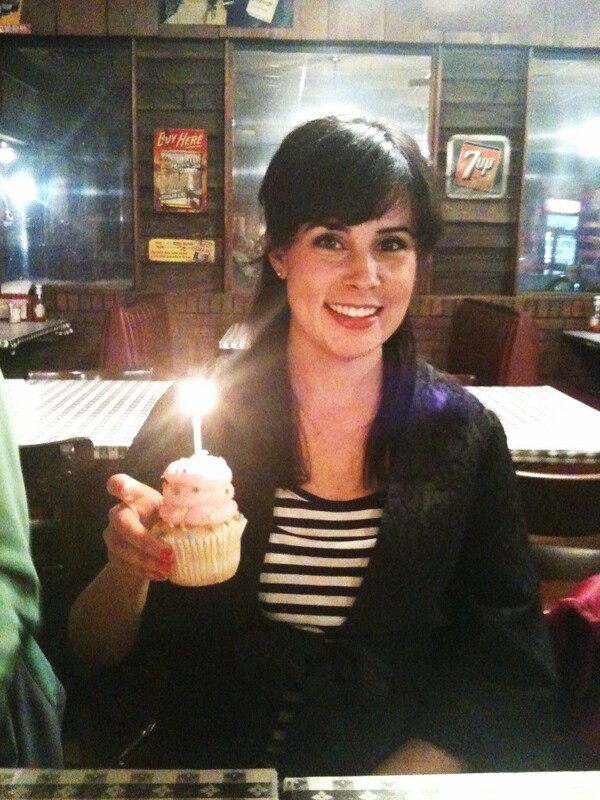 Another January 31st has come and gone, meaning I am another year older. Since I am mid-move and spent last week in Alabama, I ended up spending the big day with my family. I can’t remember the last time I got to do that… must have been before college. One of the highlights of the day was driving to Atlanta to pick up Steve from the airport! The other highlight of the day was a dinner at Country’s Barbecue with my mom, brother, grandmother, cousin, and Steve. Delicious! Due to my recent career and location changes, it is already clear that this next year is going to be special. I am really curious to see what I can accomplish before I hit the big 3-0.